"Quality Home Inspections, at an Affordable Price." Lehman Home Inspections, LLC in Louisville, KY offers home inspection services to realtors and people buying or selling houses. 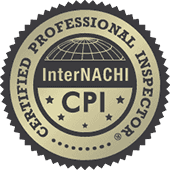 We also strive to provide our clients with detailed but easy-to-understand home inspection reports. This is to ensure that our clients really understand the results to help them make better decisions with regards to the real estate transaction. We had a wonderful experience from beginning to end with Lehman Home Inspections! The team was prompt and very professional! As first time home buyers, we were not sure what to expect. Every question we had was answered. The attention to detail was exceptional. We learned a lot about our home the day of our inspection. Any worries we had were eased and it turned out to be a very enjoyable process to be part of! We will certainly be recommending Lehman Home Inspections to others. We know where to go in the future for any of our property inspection needs! 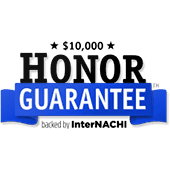 Keith does a fantastic job with his inspections and charges a very fair price. His timetable and schedule is very flexible, and he was extremely kind and courteous. Additionally, he was willing to walk me through the inspection report and is always available for questions. If you are looking for someone to do your inspection, Keith is a great choice! Lehman Home Inspections is a top-notch operation. From start to finish, Keith Lehman was prompt, thorough, and meticulous, making sure the inspection was complete and documented in a user-friendly manner so that I could discuss the results with the seller. I would definitely recommend Keith to others. He certainly is worthy of 5 stars! Keith did an amazing job for my family and I. He did our home inspection for a house we were looking to purchase. He was on time, he was able to answer all of the questions I had in a way that I could understand. He took his time and sent all information in documentation to my email in less than 24 hours. This is just a slim amount of great things he did for us. We would definitely recommend him to anyone!!! We were very pleased with their service. They were prompt, courteous & very professional. They provided a detailed report. I would highly recommend them. "Great work!! Mr. Lehman was very helpful and he was very thorough." Thorough with everything he did, made the process very simple and answered any and all questions I had about the inspection process. Great inspection. Very through and affordable. Excellent job, Extremely thorough, Super person in general!..was very blessed going with this company. ..thanks again Keith! Horizontal crack(s) in the foundation wall at the front right corner of home. These cracks do not appear significant to require repairs at this time. Recommend to monitor, if the cracks get worse, recommend evaluation by a qualified individual for repair. The Vinyl siding at the left side (facing front) damaged. Deterioration can eventually occur if not corrected. A qualified contractor should inspect and repair as needed. The soffit panel at the eave on the rear of the home is loose. This is a small repair. A qualified person should repair or replace as needed. There is a negative slope at the rear of the home and can cause or contribute to water intrusion or deterioration. I recommend correcting landscape to drain water away from home. The spindles on the deck at the rear of the home are missing. A fall or injury could occur if not corrected. A qualified contractor should repair or replace as needed. The steps on the porch at the front of home are not uniform in riser height and are a tripping hazard. A fall or injury could occur if not corrected. A qualified licensed contractor should repair or replace as needed. The wood guardrails on the porch at the front of the home is weak and is not secure. A fall or injury could occur if not corrected. A qualified contractor should repair or replace as needed. The smoke detector has been disconnected intentionally at the common hallway to bedrooms. Without a working smoke detector in your home you have no first alert to a possible fire. I recommend repair or replace as needed using a qualified person. Signs of fungi growth is present on the floor system in crawlspace in several areas. We did not inspect, test or determine if this growth is or is not a health hazard. The underlying cause is moisture. I recommend you contact a mold inspector or expert for investigation or correction if needed. The drywall on the ceiling has several hairline cracks (cosmetic) in the Living Room. While this damage is cosmetic, it needs to be repaired. A qualified person should repair or replace as needed. The gutter is loose at the (North side of home) (East side of home). Loose or leaking gutters can cause deterioration of fascia, soffit or roof edge. It can also cause gutters to pull loose and lead to possible water intrusion. A qualified contractor should inspect and repair as needed. The support post(s) on porch at the front of home are split or cracked in areas. Further deterioration can occur if not prepped and sealed or painted. A qualified contractor should repair or replace as needed. The TPR valve pipe is missing on the water heater. This is a safety hazard that could result in a burn injury. Recommend evaluation by a qualified individual for repair.